BMW has been graciously stretching out the death of the rear-wheel drive BMW 1 Series for years now, thankfully, but it’s nearing the end. The BMW 1 Series Finale Edition is anticipated to be the last rear-wheel drive, six-cylinder version of the model ever, and it’s only for the Australian market. Since it’s not in America, the Finale Edition has the benefit of being the hatchback bodystyle, too, which I have to admit I’ve always liked slightly more than the old coupe and Chinese sedan, so I’m extremely jealous. The Finale Edition will be sold for $3,000 Australian dollars over the sticker price of a normal M140i, which translates to roughly $2,119 U.S. dollars at current exchange rates, for a total price of $62,990 Aussie, or roughly $44,500 U.S. This special edition of the M140i will only be available with the 8-speed automatic (how hard could it have been to give the manual one last shot in this car, BMW? ), and gets the choice of three 18-inch alloy wheel designs, a black kidney grille, darkened head and taillights, and black chrome exhaust tips. Otherwise the car is basically spec’d out with the other package options already available, including blue brake calipers, adaptive M suspension, leather interior, LED headlights, upgraded audio, and a sunroof. The powertrain is also the standard but outgoing rear-wheel drive layout with a 335 horsepower turbo 3.0-liter six-cylinder with 368 lb-ft of torque, and a limited top speed of 155 mph. 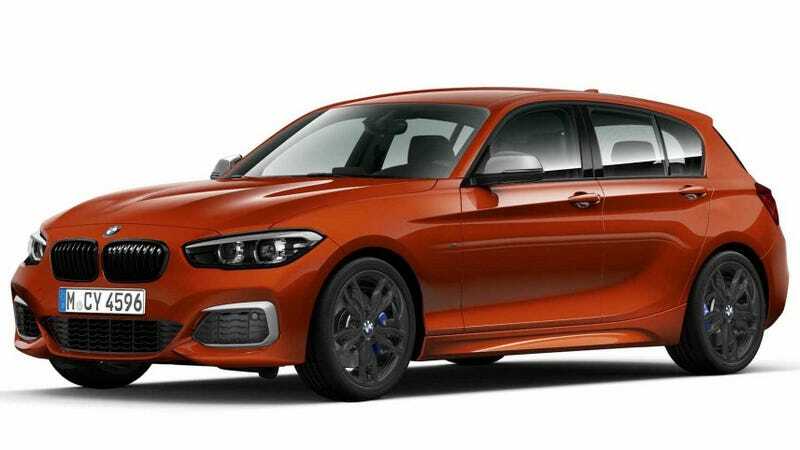 The 1 Series is suspected to return as a front-wheel drive model in the next couple of years, and a front-wheel drive sedan is already marketed as the 1 Series in China. The new car in the Western market is expected to at least have the option of xDrive all-wheel drive, according to Motor1, so maybe it won’t be all bad.